BS4 Himalayan Review: The negative words around RE Himalayan spread quickly soon after its launch. The main complaints were on the fork or rather the T-stem getting jammed, coil failing to charge the battery, the bike being quite heavy not coming with kicker and the infamous clutch being hard. Yup off-roading becomes hard when you have to steer and hang onto a hard clutch as well, parts falling off, cracks on the frame or swing arm…the list is long! But that’s all in the past now. Royal Enfield really stood up and accepted the issues. But yes, some folks are hell bent and caught high and dry in the negativity still common to the RE. 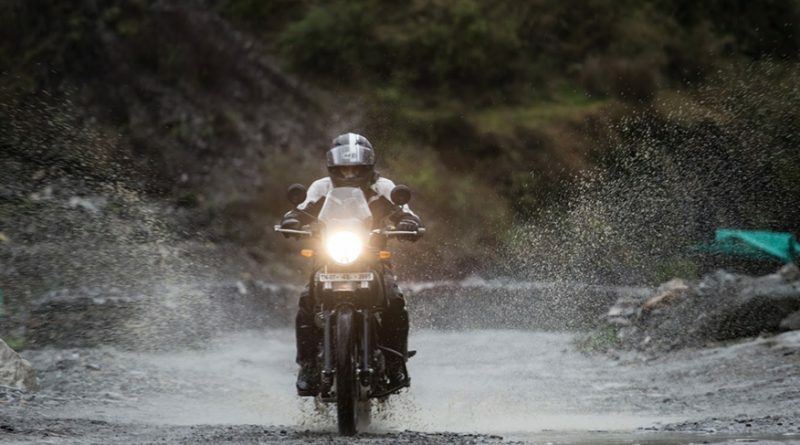 But when the Himalayan BS4 version was announced soon after Euro 4 norms and production issues were sorted, I was jumping with joy; all of my 6 feet 3 inch tall frame and this is the only bike in the Indian market built to fit me on an affordable price range. 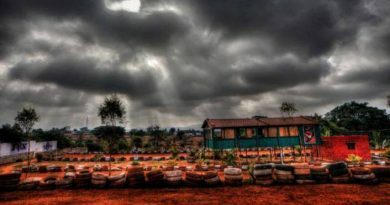 For us Indians who love to tour, to race or to off-road and witness the uncharted territories that our country has to offer, this is a blessing in disguise. 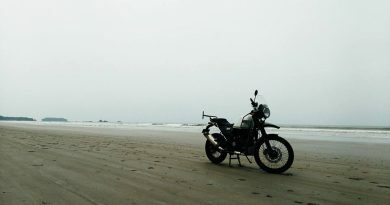 My friend owns a Himalayan (previous version) and I have used it for a couple of long rides. The comfort that this bike offers is like none other Indian bike in this category. 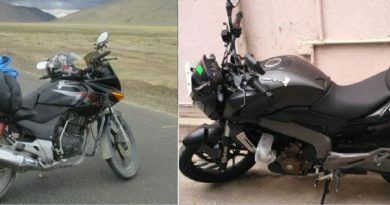 I also do own a KTM duke and a Karizma, but Himalayan bike is meant for touring, off-roading and daily commuting, which these bikes fail to offer with their softer seats and softer suspensions. The position in which the handle bars are placed which is really a rider’s delight for such a big bike and you can take U turn at any point… which other bike offers this? And so I stepped into a dealership nearby and took the new BS4 Himalayan for a spin. Under the tank there is a fuel injector in place of the carburetor. Apart from this there is a fuel pump under the tank along with other fuel injection components. Royal Enfield has also made minor cosmetic changes like the fuel cap, handlebar mount etc. have been blackened. Clutch cable seems to be a newer on with crimp; a bit soft in usage when compared to a BS3 variant. Gear shift indicator switch has been swapped, so no false indication while shifting to neutral. The brake fluid tap for the rear break is set a bit inside the bike which was earlier outside and was prone to damage. The gear box gets a new rocker and a clutch bell, which does quite the job for a 411 cc semi oil cooled engine if you ask me. The T-stem of the fork also gets a cap which prevents water from getting inside the bearing and jamming the steering range of the bike. The biggest change on the new BS4 Himalayan is that of the fuel injection. The effect is quite good. The bike now has a better low end torque. Whereas BS3 version struggled to get going from stand still; the BS4 Himalayan offers a clean pull from stand still. I even tested the top end of the bike with low fuel. I touched 137 KM/H on the odometer. I guess it can do more with decent mileage of 25-30 which my KTM offers. Since I commute up to 35 KM a day, comfort is a must. I would rather prefer to be comfortable on the Himalayan than get my legs burnt on a KTM with a sore bum. The engine specs remain the same at 24.5 bhp @ 6500 rpm and 32 Nm @ 4250 rpm, the mileage seems to have improved and you get a decent 25-30 km/l. 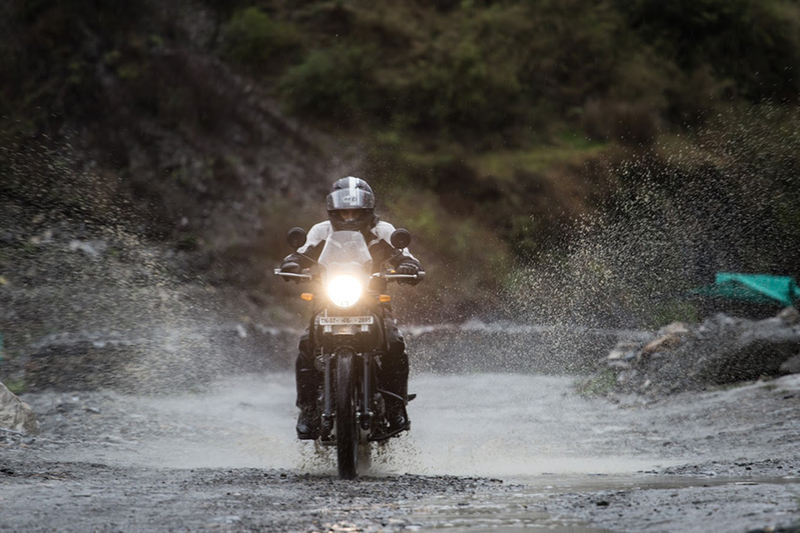 Coming to other specs, the BS4 Himalayan still remains the machine that can handle all kinds of roads and no roads (talking about Bangalore roads; you never know what you get to see the next day). The 21 inch front tyres with 41 mm forks and 200 mm of travel lets you take this machine almost anywhere confidently. On the highway too it makes a decent impact and meter console is quite good with the dual tone. The clutch is still quite heavy and the constant use in traffic will give you a nice forearm work out. The engine though remains composed. Obviously it throws some heat your way, but nothing beyond unexpected magnitude if the clutch is softened. Undoubtedly this bike is unbeatable in the segment. Breaking is good; byber clippers offer a good bite, but as much stopping power as a KTM despite being of same brands – probably the pads quality needs to be improved. Rear wheels lock up on sudden breaking and ABS rumours still stay far from reality. Thanks to GST and BS4 norms the bikes is almost 2 lakhs on road now in Bangalore which is priced higher (almost 30 to 40K higher) than the BS3 Himalayan. 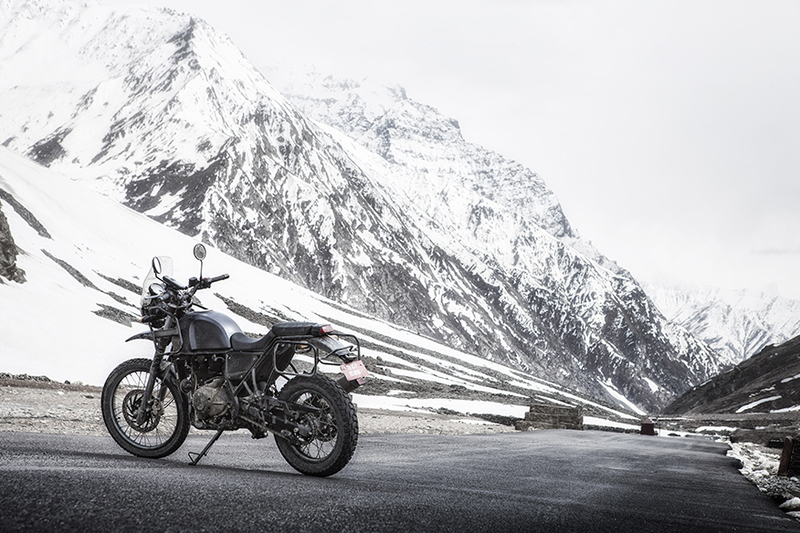 Well this is my take on the BS4 Himalayan Review. Hope this clears the air around the new model. Happy Riding! Ride safe Ride long! Moving to EFI was a must considering the norms, and with such frame of yours, you’re right, this is the only bike on which you can ride comfortably.